This product completes our Robin Red range perfectly. 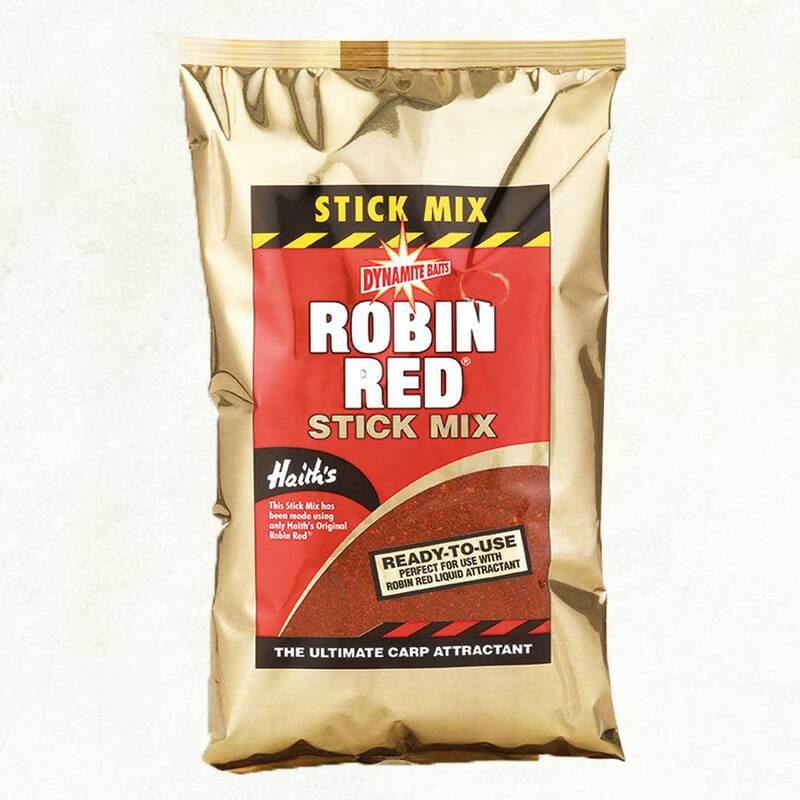 The deep red colour and strong smell that comes from the addition of Haith’s devastating original Robin Red carp attractant makes this a stick mix that is ideal to use with practically any bait – not just Robin Red. A perfect carrier for extra freebies although this Stick Mix already contains everything you would expect including broken Robin Red Pellets and boilies. It is totally PVA friendly and can be used straight from the bag. If you want to make it slightly damper then you can add some of our Robin Red Liquid Attractant for the mix to remain PVA friendly. Ideal to use in spod mixes also.